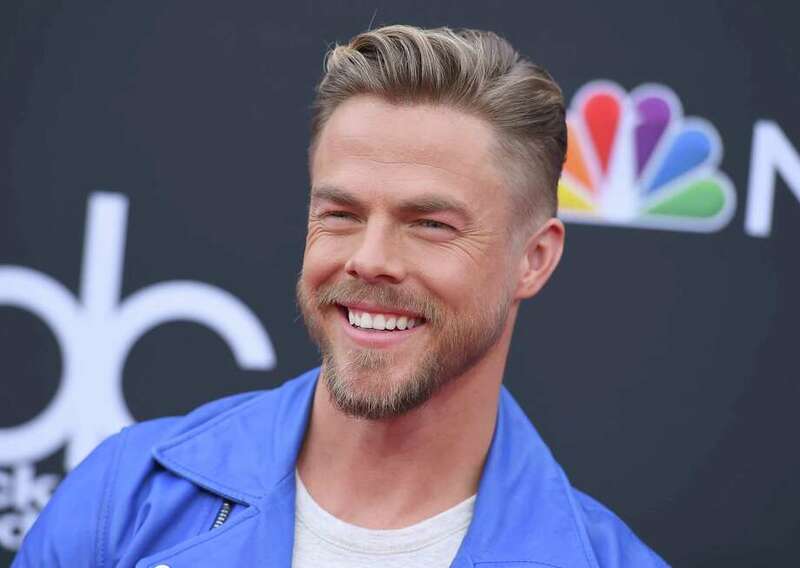 Derek Hough Wife or Girlfriend, Net Worth, Is He Gay, Married or Dating? Derek Hough Wife or Girlfriend, Net Worth, Is He Gay, Married or Dating Anyone? Derek Hough is a popular Latin and ballroom dancer, an actor, a singer, and an excellent choreographer who has had his presence felt in the industry. Hough has been a strong stakeholder in the prestigious dance competition series, Dancing With the Stars which airs on ABC. He has been outstanding since his beginning days in 2007 and has earned lots of recognition and accolades for his amazing works. He was born on May 17, 1985, in Salt Lake City, in Utah to parents; Marianne and Bruce Hough. He is the fourth of the five children of his parents who are all staunch members of The Church of Jesus Christ of Latter-day Saints or Mormon Church. It must have been a matter of heredity for Derek who hails from a family of talented dancers. First off he had grandparents who were great dancers and who begot his own dancer parents. Hough’s parents, as a matter of fact, met in a ballroom dance while in college. After his parents divorced, he moved to London and lived with Corky and Shirley Ballas, dance coaches who trained him in the art. He was trained at the Italia Conti Academy of Theatre Arts alongside the Ballas’ son, Mark Ballas, and his (Hough) sister who later joined him in London. Derek Hough turned out to be a very good dancer and a fast learner who greatly excelled in art while at school. He participated in the 2002 WDSF World Latin Championship and won, he also won the Blackpool U-21 Latin title and set course to take active participation in the world of dance. In 2007, Hough worked as one of the panelists on BBC One’s DanceX. That same year he appeared in the fourth season of Dancing with the Stars as an instructor. Next, the dancer worked again on the show as a professional instructor and started to build an amazing record as a significant stakeholder in the reality dancing show. Derek danced with Jennie Garth with whom he reached the semis in 2007. The following season in 2008 saw the talented stepper pair with model Brooke Burke. With Burke, he won in that season and went on to pair with rapper Lil Kim in season eight. In the ninth season of Dancing with the Stars, Hough paired with Joanna Krupa, a model. The pair left in the semifinals after finishing fourth. He then paired with singer Nicole Scherzinger and won the tenth season of the reality show. Hough continued to make his presence felt in the show until 2011 when he took a break to star in his debut feature film Make Your Move. In 2013, Hough won the Emmy Award for Outstanding Choreography and went on to grab his second Emmy in 2015 for the same category. The talented dancer directed a song video by Mark Ballas titled Get My Name in 2014. That same year Derek Hough released his first book titled Taking the Lead: Lessons from a Life in Motion. In 2015, the dancer and choreographer appeared at the New York Spring Spectacular which took place at Radio City Music Hall. Two years later, Derek appeared as the lead character in Singin’ in the Rain, a Broadway production which premiered in 2017. Derek Hough went on to appear as a choreographer in several music videos including The Arena where he danced alongside Lindsey Stirling, a performance artist and in other notable movies afterward. Derek Hough sits on a net worth estimated at $4 million by some sources. The talented personality makes money as a dancer and also as an actor. He has made some appearances in TV and one of such is Jane the Virgin (2016). See Also: Tom Bergeron Wife, Father, Age, Family, Height, What Happened To Him? Personal Life – Wife or Girlfriend, Is He Gay, Married or Dating Anyone? Derek Hough has been in a long-term relationship with his girlfriend Hayley Erbert. The two are sometimes mistaken to be a married couple considering the long span of their relationship. Hough and Erbert have worked together on some projects and have embarked on tours together. The couple who always appear lovestruck have become a delight to their fans who are patiently waiting to hear their wedding bells. Being that we know who his girlfriend is, Hough is certainly not gay. At least, he hasn’t disclosed that himselfl. They gave their first joint interview in May 2018 and the media is still in awe with their heartwarming appearance. They are famed for their dashing looks. Derek Hough is a charming delight and his girlfriend Hayley will hardly go anywhere unnoticed with her captivating looks. Who wouldn’t gush over such a sensational couple?